eBay is calling all UK mums to start selling on eBay highlighting, in a new ad, that they can make up to 2.7x more money on eBay with respect to Facebook Marketplace. 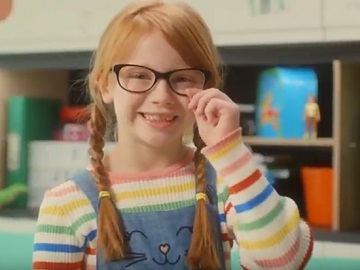 Entitled “Make more selling on eBay,” the 30-second spot features two kids showing what their mothers sold on eBay and what they got with the money. A boy says his mum sold his wellies and he got instead a race-car style trike, and a girl says she thinks her mom made more money by selling her building blocks. She thus managed to buy a sort of robot that suits her current hobby and get way more technical. “Making money. It’s happening on eBay” onscreen lines read at the end of the advert, which features, like many other eBay adverts the song “Montage (From “Swiss Army Man”)” by Andy Hull & Robert McDowell. The statistics mentioned in the ad are based on a nationally representative survey made in March 2019 and used to identify the percentage of household items that the UK public sells, by category. The online auction and shopping website states that selling on eBay is really easy. All you need to do is snap of a photo of the item you want to sell, but taking into consideration some aspects – like good lighting and having several shots, write a description of your item (it should be quick, interesting, and honest), pick a fair price, choose “Sell It Now” or “Auction” (or both) and get it ready to ship once it’s sold. In the past, eBay has also enlisted Canadian comedian, writer, presenter and actress Katherine Ryan and stylist and fashion blogger Ada Oguntodu to advertise its services on the UK market.